Effective and efficient time management is important not only for professional managers, but for everyone appreciating time. While there "are" some folks with "abundance" of time (take our AJ for example and her two-hour showers), for us, mere mortars, time is extremely scarce. In traditional time management priorities play a central role. However, a time management method invented by David Allen, called Getting Things Done (GTD for short) places more emphasis on control and perspective. Computers and especially smart phones are very good aids for managing your time. It shall not be a surprise that numerous applications exist for task management for any platform. However, most of the applications that I've seen so far (not only for iPhone but for Symbian and Windows Mobile) are too simplistic and they follow the traditional time management methodology. 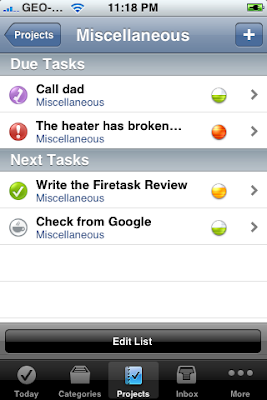 A new iPhone application called Firetask is extremely useful for managing your time and literally getting things done. Firetask has just been released by Gerald Mesaric Task 1 Consulting. What I liked about Firetask is that it combines both the traditional and the above mentioned GTD approaches. The application features a nice and intuitive interface and sleek design. The "Today" screen is the central part of the application. It shows only the tasks due today and in the following days together with the first open task per project. Thus, you are not overloaded with irrelevant tasks. Another very interesting feature is the "Waiting for" list. Its main purpose is to keep track of delegated tasks. The Inbox is used for quickly gathering thoughts and ideas. and iPod touch. The application supports English and German user interface. You can learn more about Firetask at http://www.firetask.com. 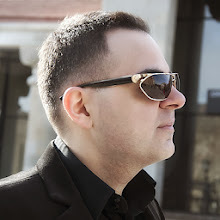 I also recommend that you check out David Allen Company web site at http://www.davidco.com. Finally, I would like to thank Gerald Mesaric Task 1 Consulting for providing me with this nice and useful application.